The end of September was warm and dry in the Dordogne, France. We set up our easels where we could in the dusty, strong light. The abandoned farm buildings and sparse shade caught my imagination. 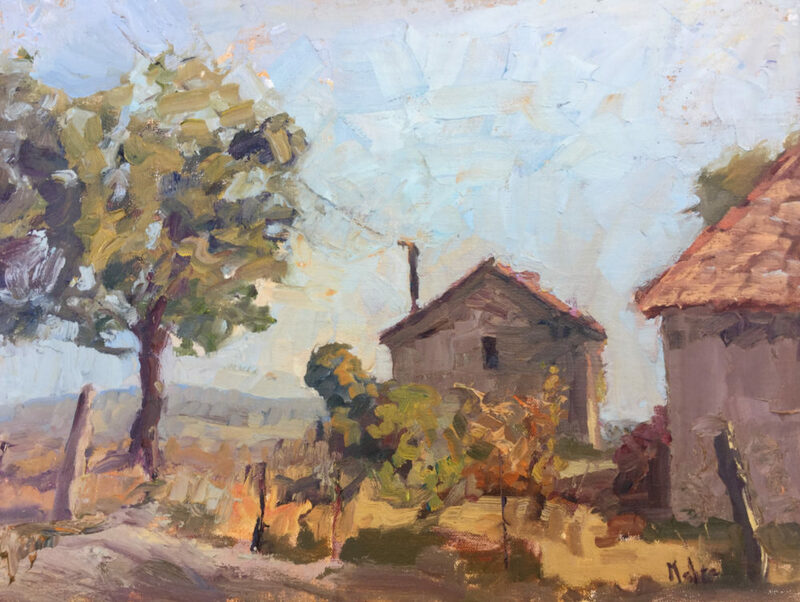 “Milk House and Walnut Tree”, oil on linen, American Impressionist Society Inaugural AIS Impressions Small Works Showcase Juried Exhibition, 2017.